This morning, as the rest of the team went to Nakesero Hospital to continue working with the new clinical pharmacists there, I headed off to meet Winnie at Mulago National Referral Hospital for Neurosurgery Rounds. Winnie has been working in that ward as a Volunteer Clinical Pharmacist for about the past year and has done an amazing job gaining the rapport of the head Consultant physician and the other physicians. Today I joined her to observe what she has been doing and to try and help with any drug therapy problems that arose. I immediately saw how much they depend on her for drug information and recommendations. 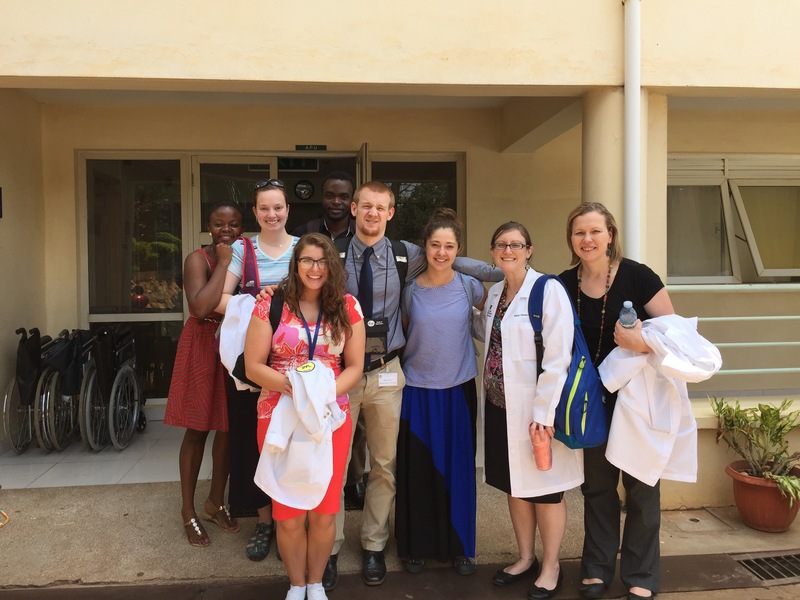 One of the big challenges in treating patients with head trauma and/or neurosurgery at Mulago Hospital is the lack of drugs, ability to run basic lab tests, and obtain CT scans and MRI’s. The patient’s family often has to go out and purchase the drugs from a community pharmacy and they may have to go to a private hospital and pay to get a CT or MRI. One of the big problems Winnie has noticed is that at least 3 people per day go into Status Epilepticus despite being on Phenytoin, a standard drug for prophylaxis. We are working together to develop a research project to see if it is because the patients aren’t achieving adequate drug levels in their blood. In the USA, we would never consider using this drug if we couldn’t get drug levels but here in Uganda, they use it all the time but have never been able to do drug levels. This is a drug that if adequate levels aren’t achieved, the patient could have a seizure. If the levels are too high, the patient could exhibit signs of toxicity. We really need to research the issues because when a drug is being used to prevent seizures, we need to know it will do this. Using it, if the levels aren’t being achieved, is just a waste of a precious resource. Of course, if we find the levels are low, that will lead to another project to see why they are low- is it because the dosing isn’t high enough, or the drug is counterfeit or because the patients may have a genetic variance that causes them to more rapidly metabolize the drug…. But, first things first. After rounding at the Neurosurgery Unit, Winnie and I went back to Nakesero to meet with the rest of the team. They had an excellent day and since the work was done, we decided to go to lunch. 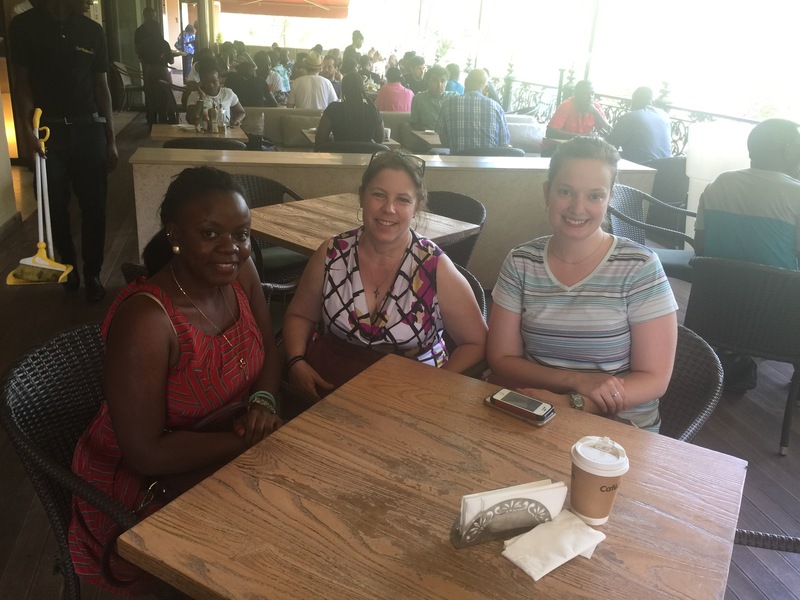 This afternoon, then, while the women students went to do more shopping, the faculty and one of the students went to Makerere University School of Pharmacy to meet with the Head of the Pharmacy Program, Dr. Kamba, and two other faculty I’ve been working with closely- Professor Richard Odoi and Kalidi. I wanted to introduce them to Erin, the Binghamton Faculty member on this trip with me who is in training to bring future Binghamton pharmacy students. 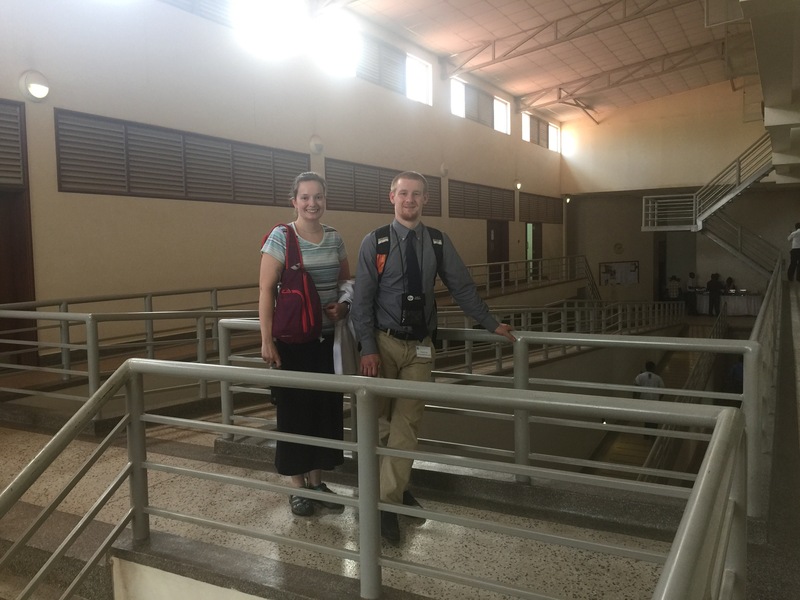 We are also accompanied on this trip by 2 faculty from East Tennessee State University (ETSU) who are looking for opportunities to develop a Global Health project in Uganda. It was a great meeting. 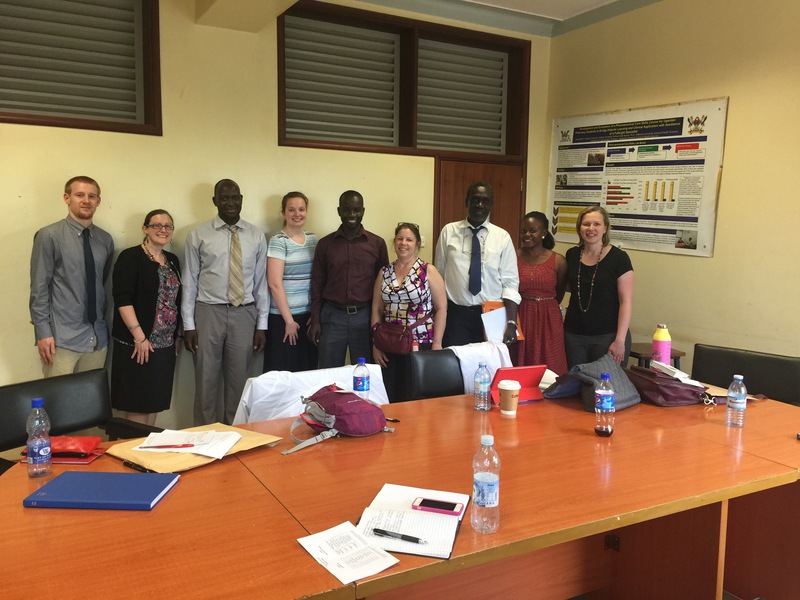 We were able to consider options for possible collaborative research and also learn more about the beginnings of the pharmacy school here which was started by Professor Odoi in 1988. He said that the first class was only 10 students and that others at the University were skeptical the program would draw many students but it has been extremely successful and is a very popular program today! The next step in the pharmacy program is to start a Masters of Science in Pharmaceutical Care (Clinical Pharmacy). 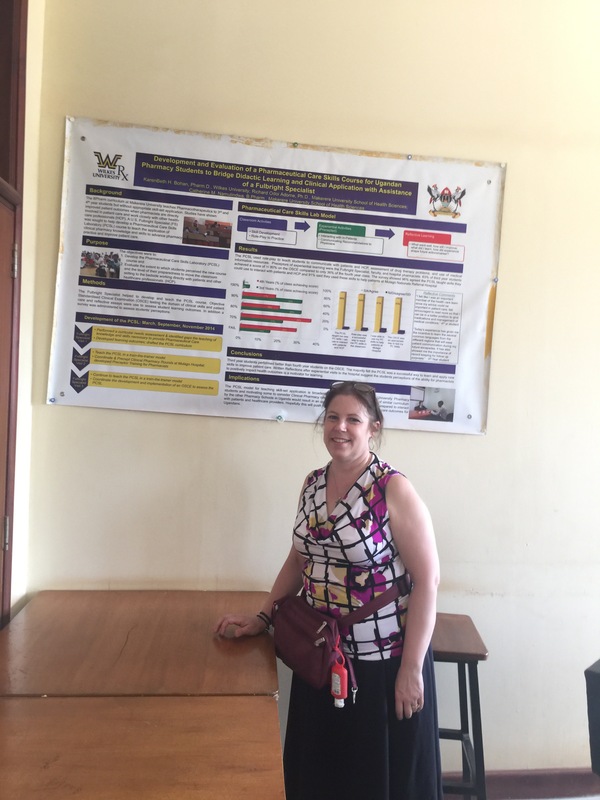 I had helped work on the initial concepts for this new curriculum but Dr. Darowan Akajagbor, previously of D’Youville School of Pharmacy in Buffalo, NY had put it altogether during her Carnegie Fellowship in Uganda in 2015. It is making its way through the Curriculum Process at Makerere University and we hope to see the first class in August 2018. This entry was posted in Diseases/Health and tagged APPE, Binghamton University, binghamton university school of pharmacy and pharmaceutical sciences, D'Youville College, Global Health, Global Pharmacy, Global Pharmacy Education, Global Pharmacy Practice, international pharmacy, Kampala, makerere university, Makerere University Department of Pharmacy, Mulago National Referral Hospital, pharmaceutical care, Pharmaceutical Society of Uganda, Pharmacy Students, Uganda, Ugandan Pharmacists, Ugandan Pharmacy Students, Wilkes University, Wilkes University School of Pharmacy. Bookmark the permalink. I find reading about your experiences in Uganda enlightening. Thanks for keeping in touch.